When you need a fast and light detector. Our SIGMA range of CsI(Tl) thallium activated caesium iodide scintillator radiation detector products replaces conventional photomultiplier technology with state of the art SiPMs. 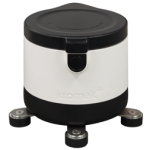 These gamma-ray detectors offer up to 32.8 cm3 of detection volume, delivered in a package providing significant benefits in cost, size, weight, power consumption and temperature stability. CsI(Tl) has a light output of 54 photons/keV and is one of the brightest scintillators known, as well as good gamma-ray photon stopping power which makes CsI(Tl) well suited for gamma radiation detection. 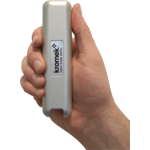 The crystal itself is robust and can survive in handheld portable detectors and operate at room temperature. 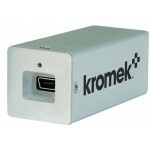 The SIGMA range interfaces directly with Kromek’s KSpect or MultiSpect gamma spectroscopy software. 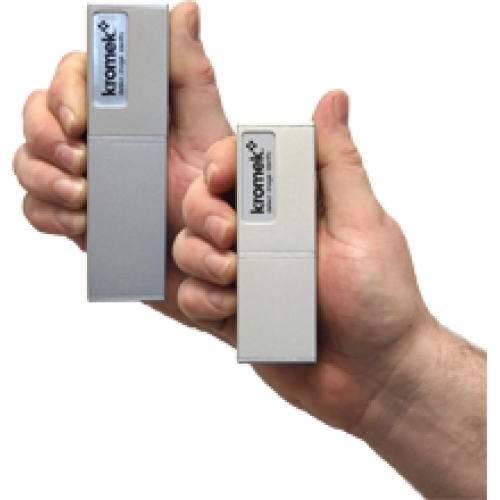 Robust, small and light SIGMA caesium iodide scintillator radiation detectors are perfect for radiation detection in the field and in the lab. Clients have flown them on drones, built them into large detector arrays and other devices. If you need fast detection in an easy to use package this is what you need.